Everyone has a bucket list, even if they don't call it by that name. I always have ever changing goals, whether they are to get a load of laundry done or to fly halfway across the world. This is the first time I've written mine down on a piece of paper. This is my Bucket List as of July, 2014. Make my own Root Beer and Ginger Ale- It can be done and I know I can do it! We don't buy pop so this will be a great experience for the whole family. Grow Veggies in the Winter- This is a new goal for me. This is my first year with a big garden and I'm looking for ways to extend my growing. Make my Children's Mattresses- You read that right. I plan to do it this winter with buckwheat hulls and cotton! 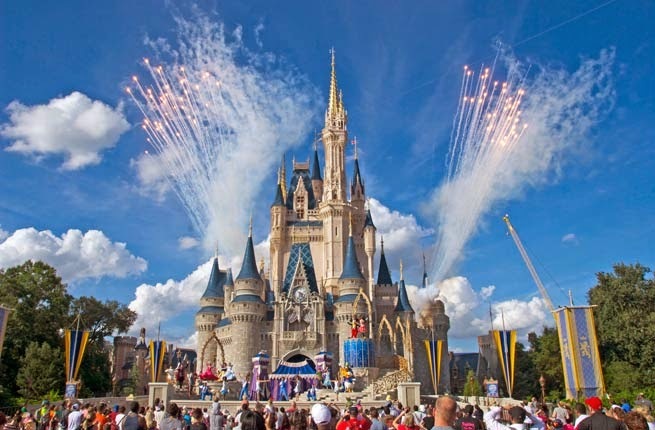 Take my Children to Disney World- I went when I was a kid and I have made a promise to take my boys when they are a bit older. Money is the biggest obstacle so we are saving now even though our boys are only 2 and 5. Be Self Sustainable- Someday I want to depend on no one but ourselves and our community for most of our basic needs. I want to grow our own food or buy it locally. I want to have solar or wind power to generate our own electricity. Go to Italy- This is something my husband and I want to do together. Both of our family's are from there and some of his still live there. Go Skydiving- Another one I want to do with my husband. I've wanted to do this since I watched the Power Rangers Movie in the 90's! I'm sure some of these will change by next year but it's still fun!